Kaizer Chiefs coach Giovanni Solinas says the club does not blame a lack of supporters for Saturday's loss to Polokwane City at the Moses Mabhida Stadium. 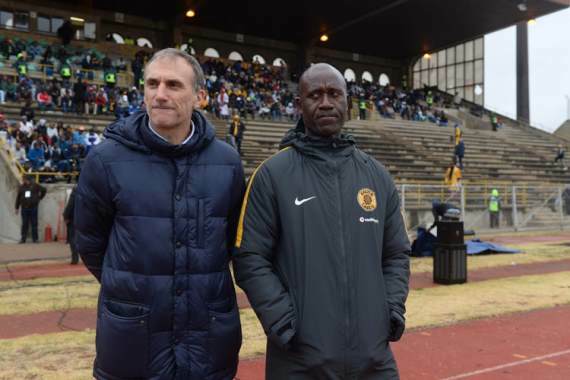 Chiefs hosted their first of three matches behind closed doors against City in Durban, after being penalised for a pitch invasion at the same venue on 21 April against Free State Stars. The Glamour Boys' recent impressive run came to an end as Vusimuzi Mngomezulu's Goal-of-the-Season contender proved to be the winner in the Premiership contest. He said: "No, no excuse. I don't want to make an excuse about [playing] without supporters. We didn't lose the game because of the issue of supporters. "In my opinion, the team performed very well. It was not easy today because the second half the guys were very positive. In the first we didn't understand the manner of attack, because they gave us the space behind and we didn't exploit this space. "But you know this is football, sometimes the team creates one chance they win the game, so congratulations to Polokwane City for the victory."